Making the perfect Island is hard, but hopefully this can help ramp up your population rates for better exibits! Basic Guide for a High Rating Island. There are a few youtube videos floating around by some awesome players that discuss a large part of dinosaur compatibility. One video in particular was very helpful in giving us a cross species compatability chart. This chart is what I based most of my information off of, to start mixing herbivores and carnivores. This guide is not me re-stating these facts. 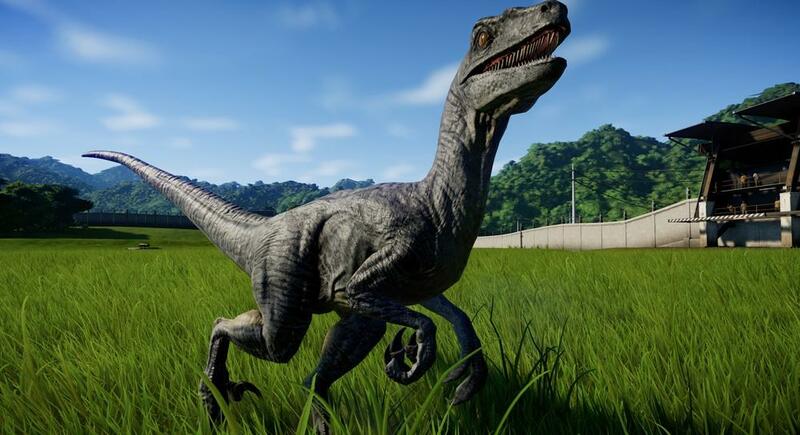 In this guide I will be telling you the social , and population restrictions for each dinosaur. To start off, id like to talk about the different categories that our charts will discuss. 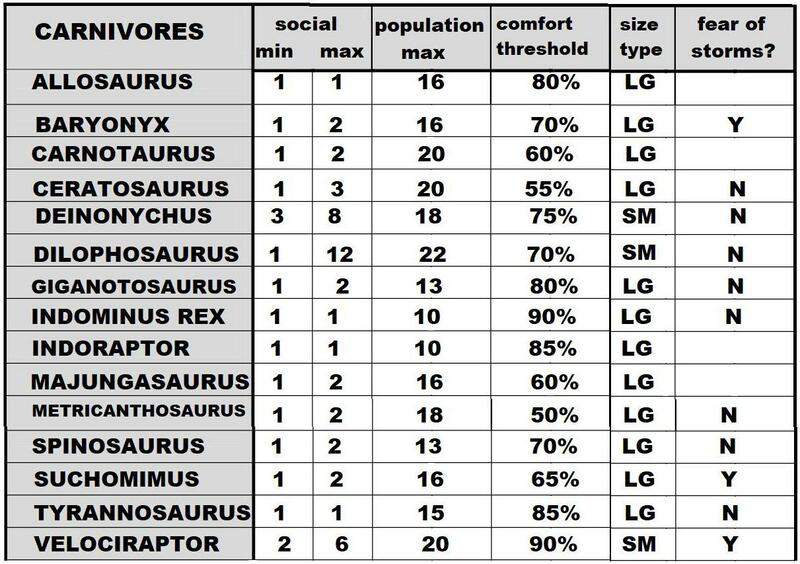 Social minimum and maximum - This is referring to dinosaurs of the same species, you must meet the minimum requirement for the species or the dinosaurs comfort will immediately start to decrease. Population maximum - This is referring to how many dinosaurs are in the enclosure including carnivores. As soon as the total headcount in the enclosure goes over their maximum population count the dinosaurs comfort level will immediately begin to decrease. 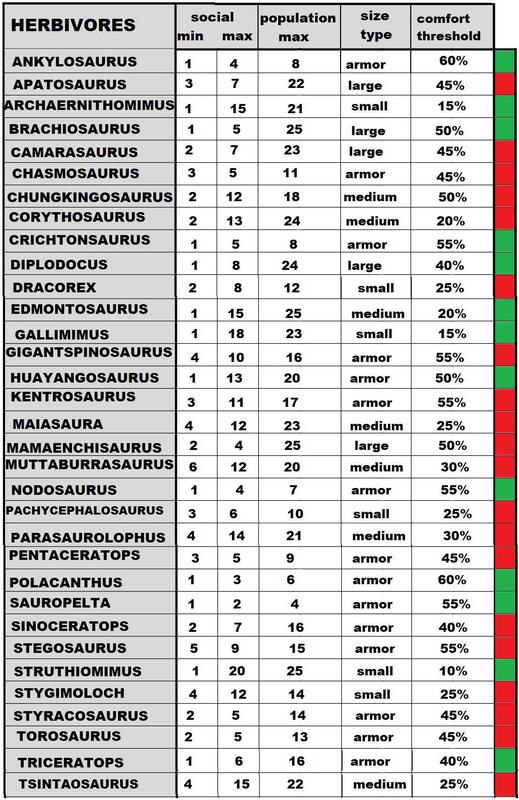 Size type - This is referring to the dinosaurs size in reference to the first chart. Comfort threshold - This is very important, the higher the threshold the actual lower it is that the dinosaur can handle being uncomfortable before starting to break out and attack guests. High percentages are not necessarily a bad thing, it just means you must plan out the dinosaurs exhibit closely instead of building around it. Fear of storms - this is a fairly simple topic. Though personally I have not seen it yet in any herbivores, carnivores often start to misbehave when it storms. Their comfort levels drop very quickly and they begin to cause havoc. 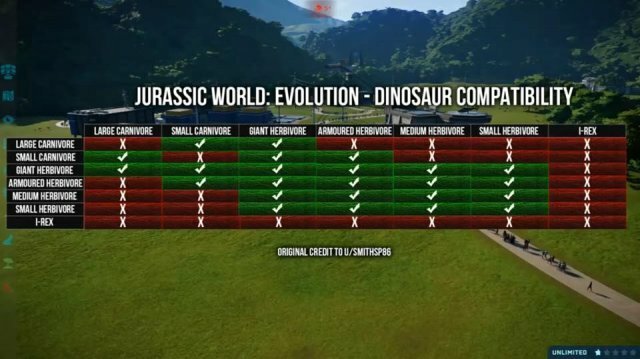 The red and green bracket is solely for easy identification of which dinosaurs you can have a single species of and which you need multiple of the same species. Green is yes single is fine, red is single is unacceptable by species standards.